A 63-year-old Buckhaven man is accused of sexually assaulting two women as they watched a performance of the musical ‘Grease’ at Dunfermline’s Alhambra Theatre. The first woman was “very distressed” after having her thigh held throughout most of the first half. When her friend swapped seats with her at the interval, the same thing allegedly happened to her. 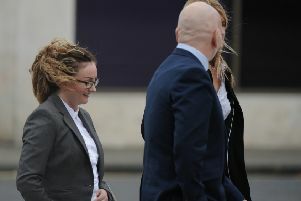 However, the second woman said she was prepared for it and smacked the man’s hand away, a trial at Dunfermline Sheriff Court heard. Alexander Rollo, of Mavis Bank, Buckhaven, denies two charges of sexually assaulting women by repeatedly touching them on the body at the theatre on February 20 last year. The first woman alleged that Rollo, who she had never met before, kept his hand on her leg for around 40 minutes. The court heard that the woman, who was at the show with two female friends, was very upset at the interval. One of her friends swapped seats with her and told the court she watched as Rollo’s hand gradually came closer to her, then touched her leg. She responded by “smacking his hand away” and she said Rollo kept his hands to himself for the rest of the show. The first woman told the court that she thought the contact was “accidental at first”. However, when it continued for the last 40 minutes of the first half she said she realised that it was not. The woman said Rollo kept his hand on her thigh without removing it until the interval. The second witness told the court her group were sitting near the back of the venue which was “very busy”. At the interval she became aware her friend was upset and so she swapped seats with her. Having heard what had happened during the first half she told the court she was “quite prepared”. The witness said Rollo’s hand was initially on the hand-rest between the seats for around 20 minutes and then moved over to her side. She watched his hand as it “hovered over my leg” before touching it. “I was ready and smacked him away. He jumped. He was rigid after that, not relaxed. He was like a wee dog,” she said. She said the matter had not been reported to theatre staff nor the police that night, but in the days following their night out they decided to contact the police. The trial before Sheriff Valerie Johnston was adjourned until March 27.